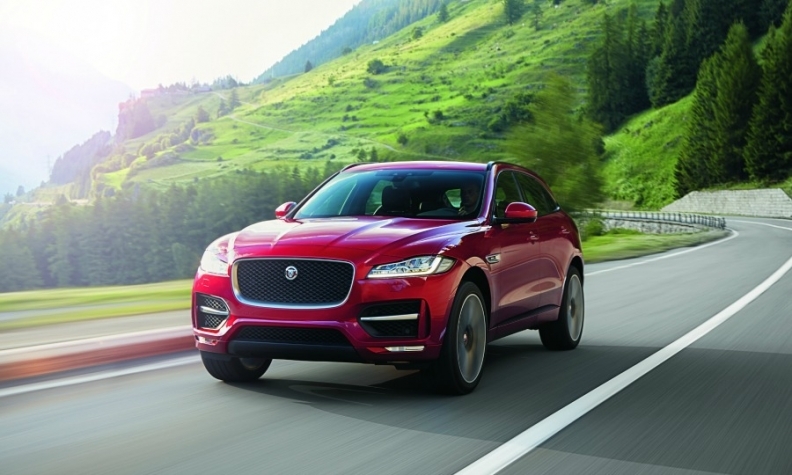 Jaguar has benefitted from strong demand for its first SUV, the F-Pace. LONDON -- Jaguar Land Rover's global sales rose 20 percent to a record 583,312 cars last year, as the company continues its rapid expansion with the aim of building 1 million vehicles a year at the turn of the decade. Despite the annual jump, sales growth slowed to 12 percent year-on-year in December, the carmaker said. The automaker, which was revived by India's Tata Motors in 2008, has since invested heavily in new models and expanded production with plants in China and Brazil and construction of a new site in Slovakia is under way. Sales of luxury Jaguar models rose 77 percent to 148,730 units in 2016 due to strong demand for a range of new high-end products including the F-Pace, the brand's first SUV, which was launched last year and accounted for nearly a third of Jaguar's overall demand with sales of 45,973. Volume at Land Rover was up 8 percent to 434,583, the company said. The automaker said its lineup will continue to expand but it has warned about the negative effect any tariffs on its business imposed as part of a Brexit deal could have if the UK were to lose unfettered access to the single market. Its annual profit could be cut by 1 billion pounds ($1.23 billion) by 2020 if the UK returned to World Trade Organisation rules for trade with the continent, two sources told Reuters last year.